Poor communication has been a major reoccurring challenge for our clients. We want to help you manage your email better in 2018. We’re all inundated with emails, aren’t we? Even though email helps us run our professional lives, it can also, very literally, run your professional life. Here are some tips and tricks you can use on your own and as a team to improve the way you handle emails collectively as a group. 1. CREATE EMAIL GUIDELINES FOR YOUR ORGANIZATION. Setting rules of thumbs and standards for emailing goes a long way to improving the way you communicate as a team. This doesn’t have to be fancy, but does need to be clearly communicated. Our team can help you put one together. Just ask! 2. DO I HAVE TO SEND THIS EMAIL? Simply put, some things are more efficiently and effectively communicated via phone, in-person, or even over a messaging app. A red flag for knowing if something is better as an email is if your email is starting to look like your college thesis. Long emails should really be phone calls or appointed meetings. 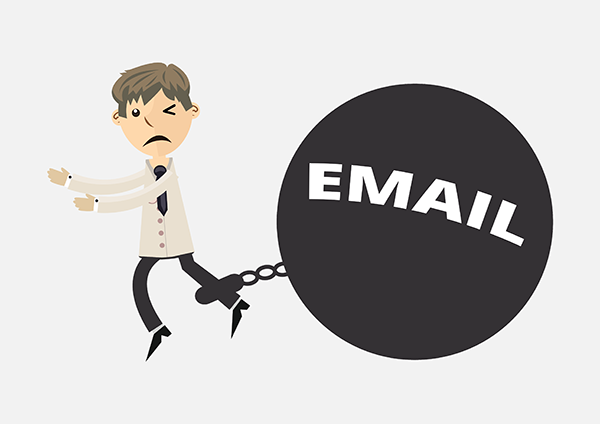 Be considerate of emails you send – and then the person replying will follow suit. Likewise, if you send long emails, be prepared to receive (very) long emails in return. 3. REMEMBER YOUR CORE VALUES. If you wouldn’t say it in person, you shouldn’t say it in email. Avoid feats of “bravery” behind your computer screen. Truly sensitive issues should be discussed on the phone or in-person. Check your email to ensure your content is sympathetic, respectful, and honest.